Ureka.org is an online social networking and sharing platform that helps us to help each other to solve our own life challenges – whatever they may be. Originally, ‘Eureka’ was said by the ancient Greek, Archimedes, as he puzzled in his bath on the answer to a maths equation. As he realised his answer he shouted ‘Eureka!’, which means ‘I have it!’. Ureka continues the tradition of realising deep understandings while relaxing (bathtubs are optional)! At ureka.org you can create a profile, share text, images and videos, use live audio/video chat, create your own groups and even be rewarded for your posts with cryptocurrency by connecting your profile to an account on the Steem blockchain (further integration with Steem is coming soon). Ureka was envisioned and created by Nick Lankester (aka ‘Ura Soul’) around 2008 in response to foreseeing a continuation of the online censorship, social engineering and mass manipulation that continues to be a huge problem for humanity as we attempt to use the internet to freely share and learn. After years of study of the human condition, Nick decided to set the intention of creating technology that can help to bring about genuine world peace. Ureka aims to provide a space where evolving minds and open hearts can connect to learn, heal, balance and evolve. We aim to be uplifting but to never deny or block out the reality of whatever evils and challenges the Earth may be facing since we cannot improve anything if we deny that it exists. Ureka.org is the home of the Earth Heart Community, a name that reminds us that we need to use our own hearts and a deep awareness of our home planet, Earth, to thrive into our future. If you feel connected to Earth, feel a need to end suffering, have creative thoughts or just like to learn – you may feel at home here! The following are not rules, but are tips on how to create real balance and to optimise your experience in life and on Ureka. At Ureka, balance is defined as ‘No part or aspect is overpowering any other’. This means that all voices need to be heard and that everyone is supported in having the ability to fulfill themselves without overpowering anyone else. A community of people who take full personal responsibility is one that can powerfully solve challenges and stands a chance of creating real balance. Many people are feeling that the power to direct their own lives is lacking and they are not wrong. So many people have decided to hand their power away to alleged ‘authorities’ that they find that they are no longer free and face opposition to their own choices from those whom they trusted to think on their behalf! Governments, militaries and religions are all examples of situations where people lose personal power and hand it to other people. We cannot have rights as free people and also give the power to determine those rights to other people – this only creates imbalance and a power struggle that does not feel good. By taking total responsibility for our own choices and actions, we stop the loss of power from ourselves and stop giving authority to other people who, history has shown, generally use it to control us in ways that hold back personal and planetary evolution! Personal responsibility involves accepting that you are choosing your own actions and have some involvement in causing what you are experiencing. There is no need to feel victimised and blame other people when you have not given them power over you. The increase in adoption of Artificial Intelligence into society means that in the near future we may find that we are living with less conscious thoughts of our own to guide our lives and may be tempted to become reliant on the decisions of ‘other’ consciousness – whether that be the minds of the people who created the AI or the ‘mind’ of the AI itself. Ideally, full personal responsibility means not giving power away to anything, whether it be human or otherwise. Interacting with AI or other humans needs to be done without deferring responsibility to them. The best way to learn is through direct experience – this way we can come to understand on deeper levels than just the mental and theoretical. It is not enough to simply be told something, as we are all unique and what may be true for someone else may not be true for us. At the same time, it is helpful to be able to share experience and tips with others and we can be greatly inspired by the experience of other people. It is common for people to believe that we can only choose between ‘Service to self’ and ‘Service to others’ - in other words, it is commonly thought that people can only be ‘all about themselves’ or ‘all about other people’. The conclusion that is often taught is that serving others is the only righteous and loving option, yet a more logical look at this shows that it can ultimately lead to enslavement and loss of personal will. If we do not meet our own needs first, before serving others, then we are weakened and are out of balance. We also have some needs that only we can meet – so if we are not serving ourselves, then some of our needs will never be met. Simultaneously, our own lives are interconnected with other people’s lives and if those other people are suffering, then we may suffer too. We need to find a balance where we are powerful enough to meet our own needs and to also be able to help others a the same time. Even if you are the most ‘selfish’ person alive, you can still benefit personally from helping others, so we truly need both ‘service to self’ and ‘service to others’ if we are to thrive - finding a real balance is key. Learning how our choices affect others beyond our own field of awareness, perhaps in other regions of the planet, is part of helping to create a real balance across the whole world. By holding the intentions to heal, balance and evolve, we help ourselves to learn and grow – each of these intentions can subtly shift our experience in powerful ways. The resulting wisdom can be shared with other people as equals, who may then help themselves to learn, grow and offer wisdom in return. Mutual agreement to freely share, learn and evolve is extremely powerful! If we choose to focus on solving challenges that help us to heal and feel good, then we can help others to do similar and a new peace can be allowed in place of the struggle, conflict and competition that has caused so much suffering for all of human history. Without our planet, we have no lives to enjoy and improve – so understanding the Earth is key to our own balance too. Often we hear people claiming to care for the Earth who want to set policies that we do not agree with, so how do we come to an agreement of what is right? The name ‘Earth Heart Community’ is a clue! Living from the heart means being willing to shift the central focus of our awareness and concentration into our own heart – not stopping use of our ‘head brain’, but adding to it’s processes with the untapped resources of our own heart. Our heart is the bonding place of emotion and thought, yet we do not tend to be aware of this consciously and this is complicated by the fact that we need to feel this to understand it, yet our culture typically rejects feelings in place of reason. If you don’t recognise what is being said here, you can temporarily stop the mental acquisition of this information and quietly shift to feel your heart. Perhaps you remember a time when you felt and heard your heart’s voice, desires and needs more than you have been recently? While mainstream understanding has not quite caught on to the realisation, the reality is that our own hearts are far more than mere pumps of blood. 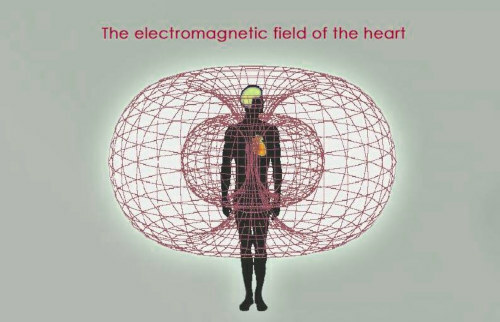 They are electromagnetic communicators too – with the ability to be conscious of a great deal more than most of us have yet learned. Our hearts can communicate with each other and with the consciousness of the Earth. The Earth is a sentient and living being that is not simply a pile of resources floating in space, waiting to be turned into widgets for profit. Full conscious awareness enables a great deal of speculation to end – there is no need to theorise what the Earth needs, since the Earth has a voice that can be heard and felt. This communication occurs through vibrations which we all might interpret slightly differently, but they must be felt and tuned into. If you do not accept that this is possible, you will be filtering out the signal and the lack of experience this has caused is a large part of why so many deny that this communication is possible for them. If all of this reminds you of the movie ‘Avatar’ - then you are correct, the understanding of a living planet and spiritual essence that are shown in Avatar are fairly accurate and apply to our Earth too. Ureka.org is a non commercial ‘club’ and not a commercial business. There are no adverts on the platform, so no interruptions to your thinking by people you have never met who may not have your best interests at heart. Funding for Ureka has mostly been met privately by ‘Ura Soul’ who is also an engineer who built and designed the website. Donations are welcome and are accepted via fiat currency and cryptocurrencies – with Steem being preferred as it is free and reliable. The development of the Steem cryptocurrency platform has led to exciting opportunities for Ureka as Steem is both a social networking blockchain system and also an economic system. In simple terms, Steem let’s you receive financial rewards for blogging and interacting with other people. Ureka is integrating Steem features, which bring financial incentive and also an uncensored public blockchain to the community here. Using Steem is optional, but it is a great way to communicate with over 60,000 other open minded people in the Steem community, many of whom are on the cutting edge of change and human transformation. Ureka will never sell your data to any third parties and does not data mine your information for any commercial purposes. We may search our database in order to provide useful features to you from time to time, but never for any kind of exploitative reasons.